AMES, Iowa – The fourth annual Iowa State University Extension and Outreach Community Food Systems Program event will be held in Des Moines on March 29, providing an opportunity for anyone engaged in local food systems development to network and learn from national voices. 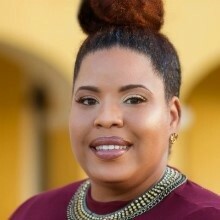 The event will feature keynote speakers Sommer Sibily-Brown, founder and director of the Virgin Islands Good Food Coalition, and Arthur Neal, deputy administrator of the USDA Agricultural Marketing Service. Workshop topics range from developing farmer feasibility training to mapping and technology, food donation and gleaning. The event also includes information on the new certification programs offered by the Community Food Systems Program to develop professional skills for local food leaders. The Community Food Systems Program is a joint effort of the ISU Extension and Outreach Local Foods and Community and Economic Development programs. The program has worked with eight Iowa communities, several other states and the U.S. Virgin Islands. Staff provide technical assistance on coalition-building, food systems planning and implementation of projects such as edible landscaping, community gardens and orchards and urban farms. Registration includes light breakfast and lunch. Please register by March 18 at https://psr.extension.iastate.edu/events/1001/register. Photo: Keynote speaker Sommer Sibily-Brown, founder and director of the Virgin Islands Good Food Coalition Inc.